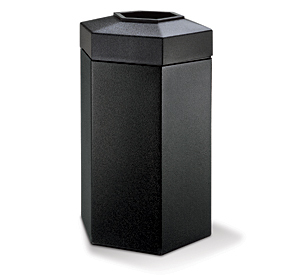 Heavy-Duty blow-molded waste containers made from long-lasting polyethylene are designed for heavy use and manufactured to withstand the harshest environments. Options include open top lid, dome lid and drive-through lid. 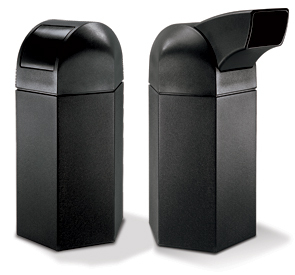 Easy Lift-Off Lid & Grab Bag™ System Holds Trash Bag in Place. Use Standard 55 Gallon Trash Bag Secured by Patented Grab Bag™ System. Molded from Long-Lasting, High-Density Polyethylene Plastic. Optional bolt-down hardware and lid security cable are available.